Fort Fido Dog Daycare & Boarding News Blog: Three New Dogs! This last Saturday we assessed Toma. 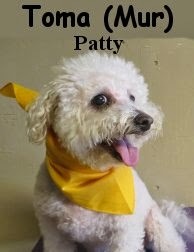 He is a cute, twelve year old, fifteen pound, Bichon Frise. This happy little fella hung out at The Fort and did well. "Toma from Tacoma" is playful, energetic, and speaks good "DOG". Even though he is a bit older than your average Fort Fido regular, you wouldn't know it! Toma's a champ who doesn't seem a day over six. Next up, also assessed on Saturday after Toma, was Sunny. 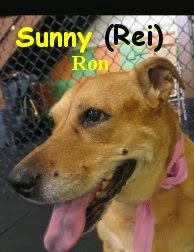 Sunny is a ten year old, ninety-six pound, beautiful golden colored, Labrador Retriever Mix. Sunny stayed with us and didn't do half bad. She was a bit shy at first, but warmed up, and became more comfortable here as the day progressed. Given time and consistency, we believe Sunny will become more relaxed here, and get more out of each visit. Last, but certainly not least, is Abbey. 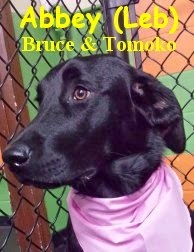 Abbey had her assessment this morning, she is a six month old, fifty-two pound, Black Labrador Retriever. A very sweet dog, Abbey did a nice job getting to know the other pack members in our Medium Roll play area. She is a dog park regular, that's just so happened to meet a few Fort Fido dogs while out and about. Here today, she didn't play a whole lot, however, it was her first time away from family. Given that, Abbey really did awesome. We're almost certain that she will play more, once she gets a couple of visits under her belt. March is typically our busiest month. This March has been no exception, and we are fortunate to have had such an influx of great new canines joining up... Including Toma, Sunny, and Abbey! They are all welcome back anytime. Thank you to all of our wonderful customers for spreading the word about Fort Fido.